Local Guys / (Vendors + Demonstrators) + Big Vendors With New Stuff + Famous Names Giving Seminars = Me Happy To Give You My $10 For Entrance! 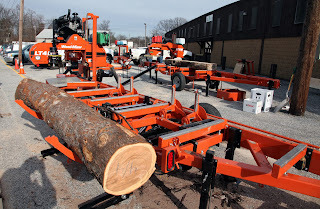 Once I parked my car and started walking down to the show, I could hear the WoodMizer guys firing up their demonstration machines so I stopped over to take a look. As always with these demos, I immediately tried to figure out which kidney I like the least because I NEED one of these machines! They also had an edger demo set up inside for edging flitches in the field, what a great idea! 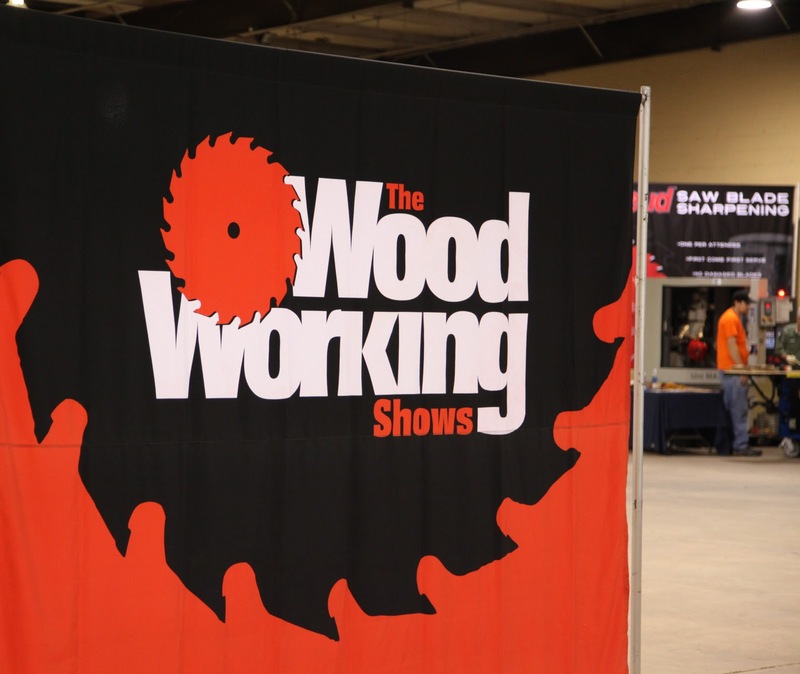 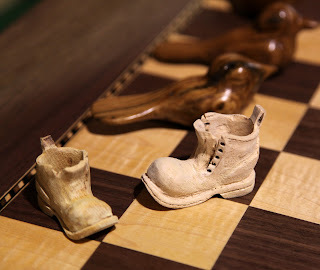 WoodMizer wasn't the only show on the road here with respect to raw lumber milling. 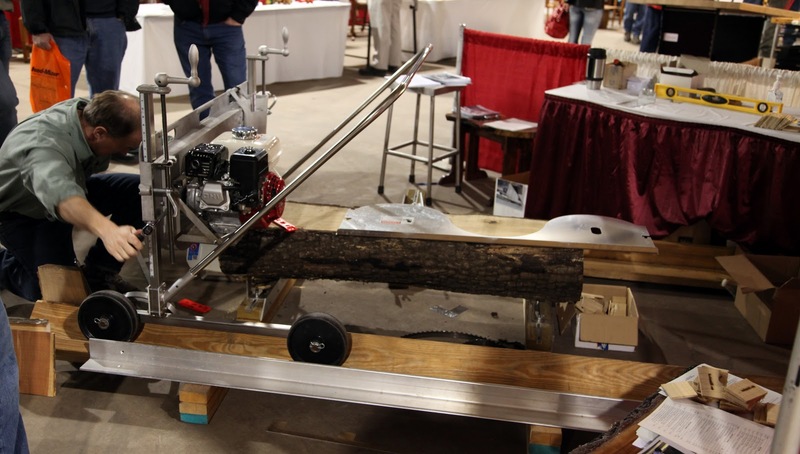 There were several other independent makers at the show, and one of the better looking machines, at least in my opinion (and very affordable), was the one below from Lumber Smith which is out of Virginia. Upon entering, the vendor space the first booth was the "Lee Valley / Veritas" display which immediately wet my appetite for the rest of the show. 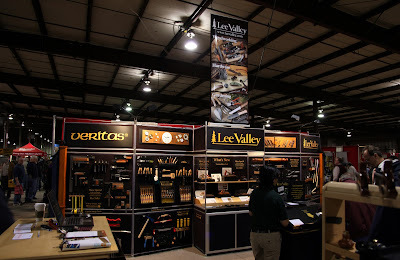 The vast majority of the other vendors focused on power tools and accessories but I could definitely tell that there is an increasing trend for people to turn back to hand powered tools. 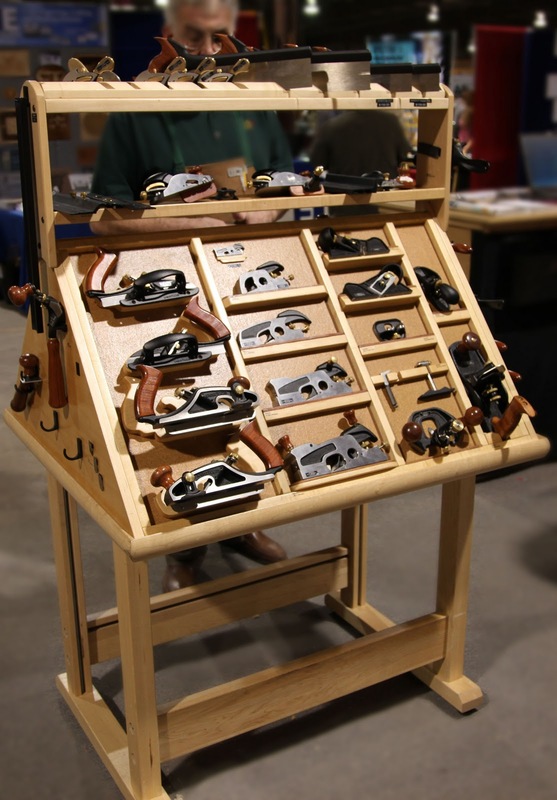 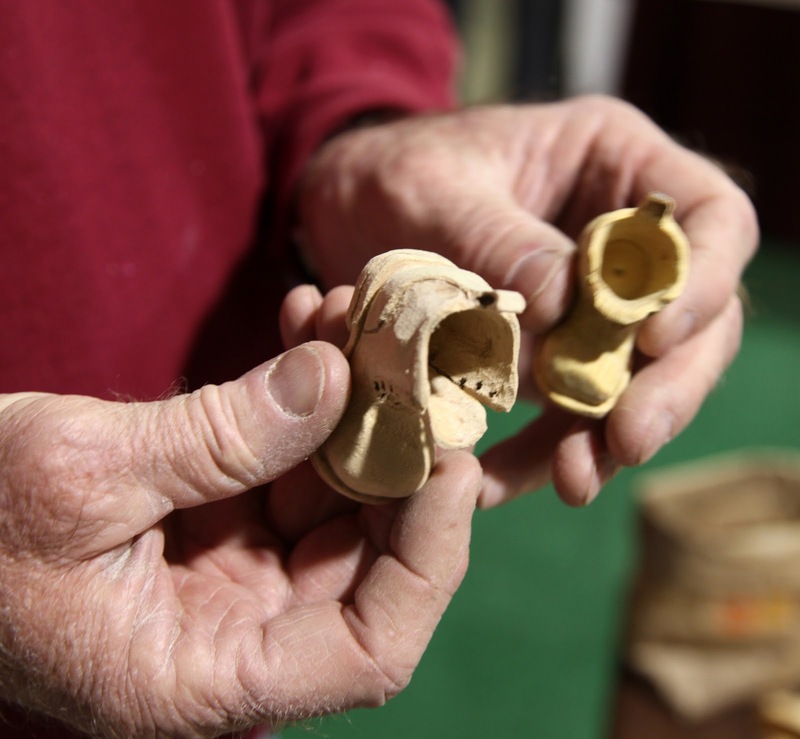 There was even an excellent clinic given by Mr. Bob Settich on building a wooden hand plane. 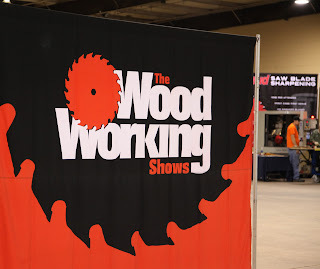 Set For Tommy MacDonald, Star Of APTs "Rough Cut"
There were numerous TV and DVD stars at this show giving presentations on tool use, woodworking tips, process demonstrations and plenty of question and answer sessions. 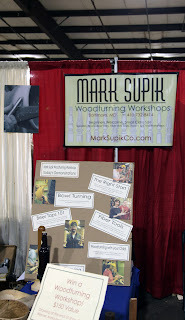 I was really impressed with the amount of information available and the quality of the presentations that were given. 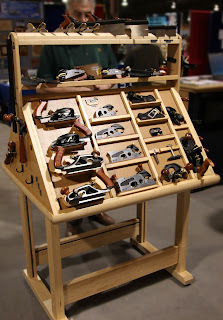 Just a taste of some the local folks that were at this show; lots and lots of talented people sharing some of their most amazing skills.